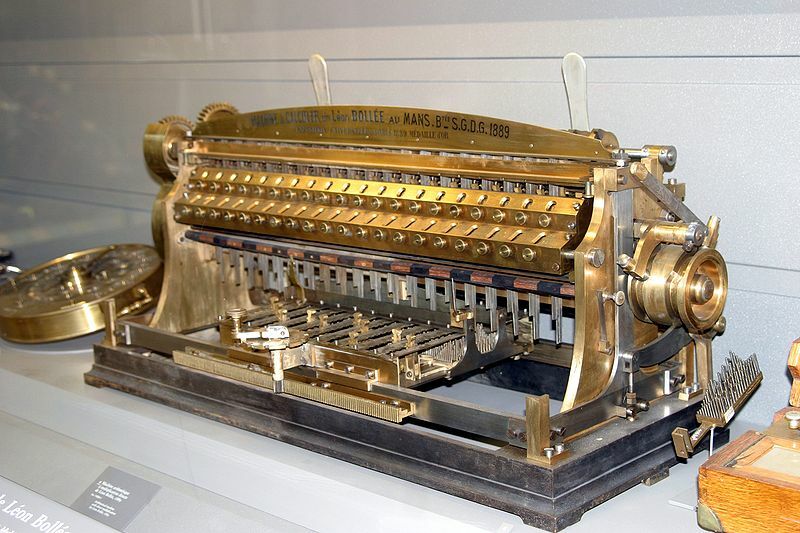 The company was created by a Swiss engineer, H.W. Egli (1862-1925), first in Munich, in the year 1893. Then H.W. Egli returned to his fatherland in 1898 and created a workshop in the centre of Zuerich, before moving definitively in Wollishofen, in the year 1904. At this time, Wollishofen was a municipality of its own. The village was composed of isolated farms and had a population of 1800 inhabitants. 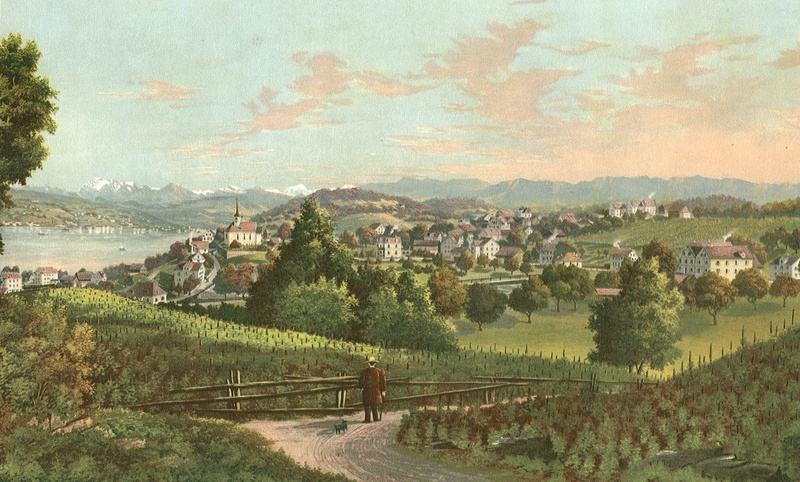 Notwithstanding the wish of the people, in 1893, this village will be incorporated, as a suburb, in the city of Zuerich, losing its autonomy. The purpose was to develop and market a computing machine. H.W. 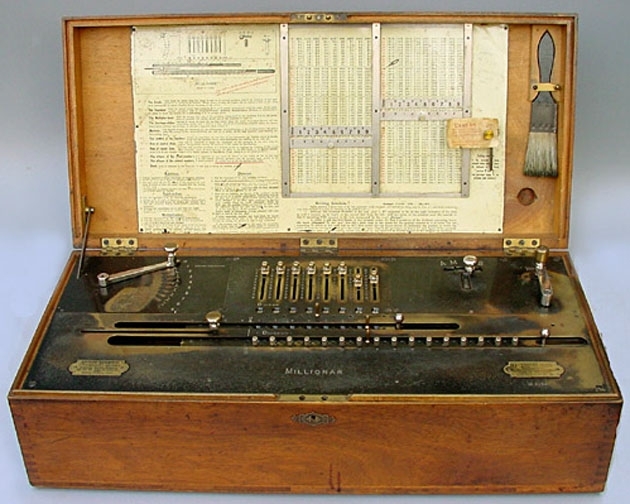 Egli had a friend named Otto Steiger (1858-1923), a brilliant engineer from St-Gallen. 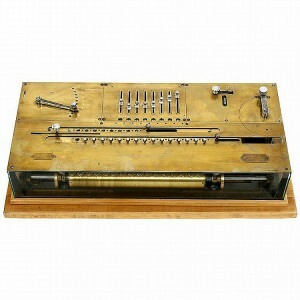 The latter designed a machine, based on the previous approach of Léon Bollée. In 1892, Otto Steiger received his first patent for a calculating machine, able to make direct multiplications, without using the method of continuous series of additions. The machine used a mechanical representation of the multiplication table to form partial products. 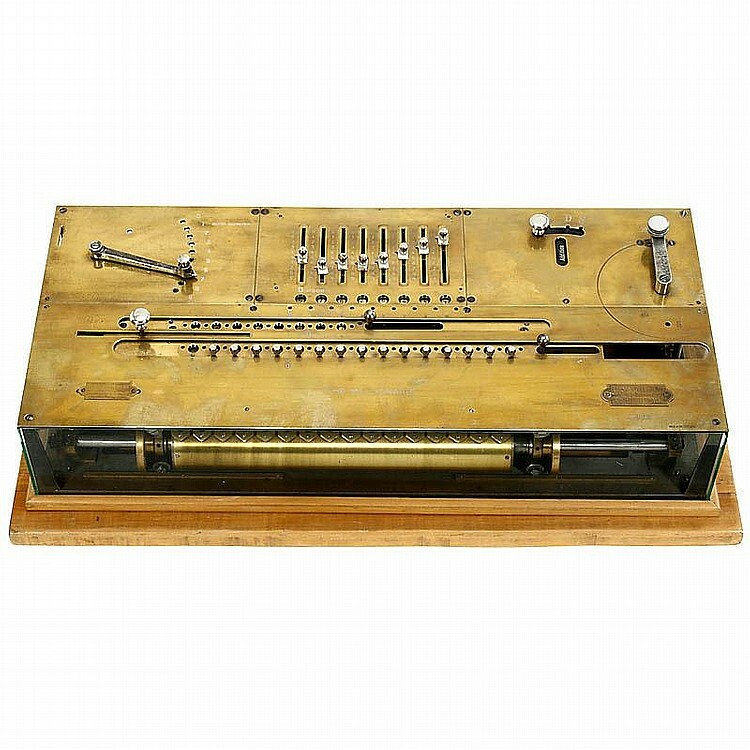 This mechanism, capable of reading values from a notched Pythagorean multiplication table had been patented in 1878 by Ramon Verea. 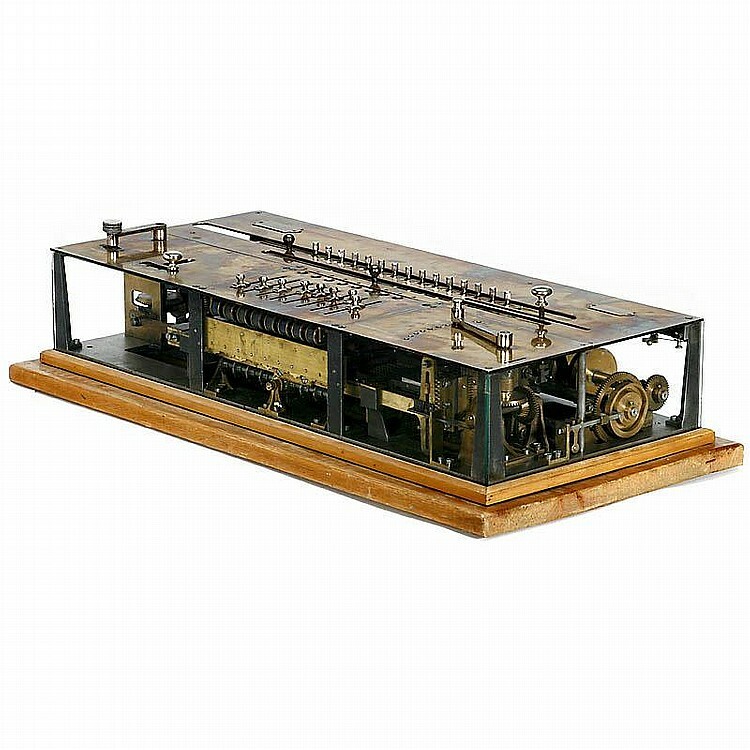 In 1896, the machine was ready. For the first time, a direct multiplication calculating machine could be produced on a commercial basis. Numerous changes were made by H.W. 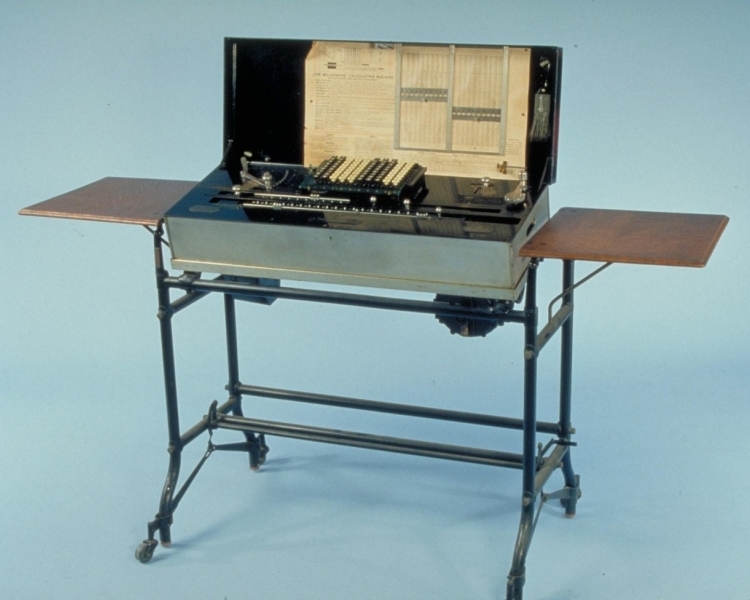 Egli before entry into production, and finally, in 1897, the machine was produced by H.W. 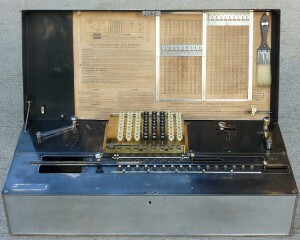 Egli A.G. under the name “Millionaire”. We do not know actually the reason for choosing this term. 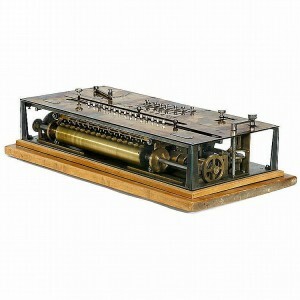 In spite of the expensive price of the machine, about 5000 “Millionaire” were sold between 1897 and 1935. 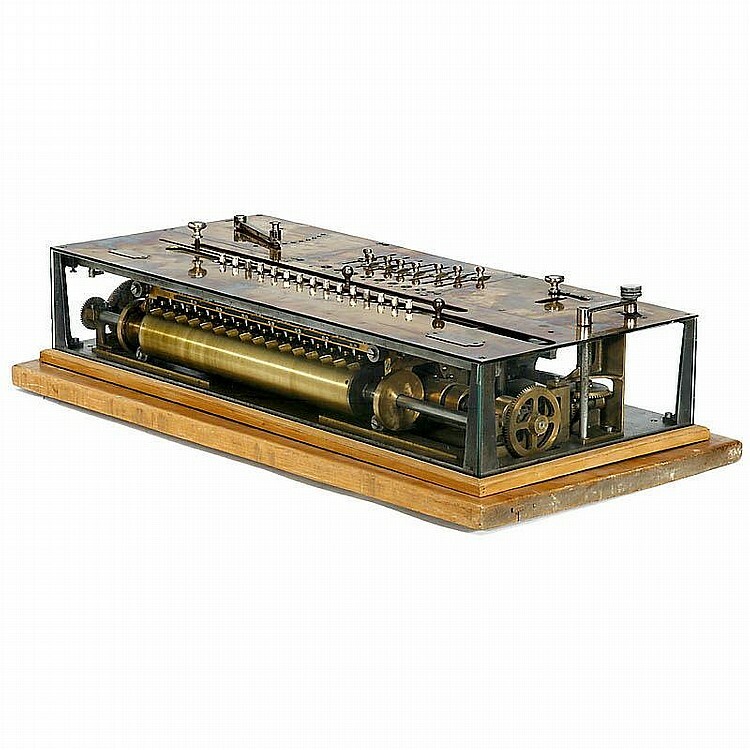 Rapidly, this machine got a dominant position on the world market. 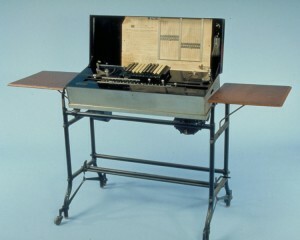 Several improvements were made during this period, (1911-1927), with, for example, addition of a motor and a keyboard.